Hong Kong-listed casino developer Imperial Pacific International Holdings Ltd says it expects to record a substantial decrease in profit for the six months ended June 30. In the casino industry, “impairment of trade receivables” often refers to money owed on losses by gambling customers that have used credit to play. Imperial Pacific said it planned to report its first-half 2018 results by the end of the month. For the first half of 2017, Imperial Pacific posted a net profit of HKD912.0 million (US$116.6 million), up 8.9 percent from the prior-year period. The company reported adjusted earnings before interest, taxation, depreciation and amortisation (EBITDA) of HKD1.62 billion, up 26.2 percent from a year earlier. Earlier this week, the firm announced that executive director Cai Lingli had resigned from the board, and had relinquished the chair of its executive committee. It added that Xia Yuki Yu had assumed the chair of the board and its executive committee. Imperial Pacific has the right to an exclusive casino licence on Saipan, the main island of the Commonwealth of the Northern Mariana Islands, a United States jurisdiction. The company began in July 2017 gaming operations at its casino resort on the Pacific island of Saipan. Previously it had been running an interim facility called Best Sunshine Live. Imperial Pacific is currently completing the first phase of the Imperial Pacific Resort. Conclusion has been delayed six times the Saipan Tribune newspaper has reported. 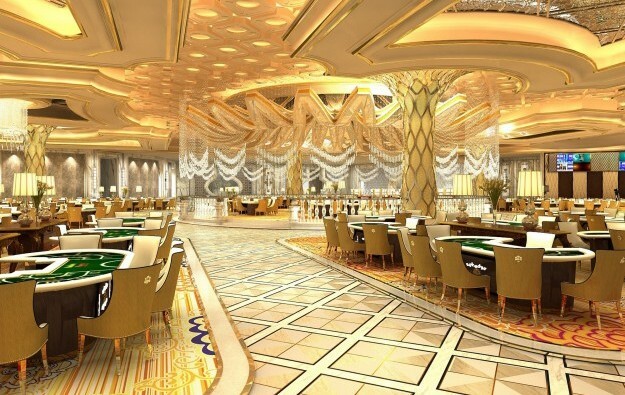 In July, the news outlet said that a subsidiary of the company asked the island’s gaming regulator, the Commonwealth Casino Commission, to put back until December the deadline for completion of the first phase. It had been due to be completed this month. Local media have also carried reports of labour disputes said to be ongoing between Imperial Pacific and construction workers involved in completing the first phase of the Imperial Pacific Resort.